David Villa will be back for more in 2018. 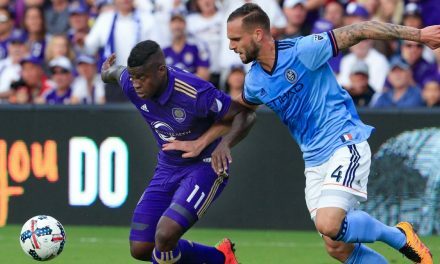 The reigning Major League Soccer MVP and Spanish international striker has agreed to a contract extension that will keep him tied to the New York City FC through the end of next season. Villa, who has captained the third-year expansion team since it kicked off in 2015, has been the heart and soul of the team. The 35-year-old Villa has scored 46 goals and assisted on 15 others in 70 matches for City, including five goals and three assists this season. “I’m so happy here in this city and at this club,” he said. “I am fit and I can do things on the pitch – I’m not ready to go to the sidelines. Not surprisingly, head coach Patrick Vieira was pleased Villa will return for at least one more season. 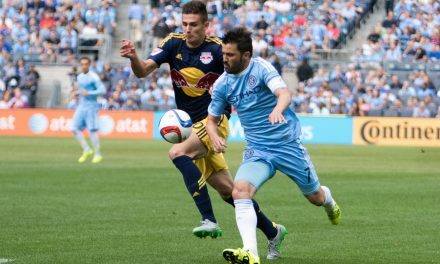 Villa missed City’s 3-2 win at Columbus Crew SC due to illness. 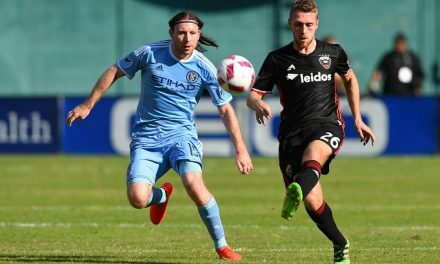 NYCFC will host Atlanta United at Yankee Stadium Sunday at 4:30 p.m.
At MLS media day in Manhattan Beach, Calif. in January, this reporter asked Villa on whether he was considering retiring. At an age where many strikers are slowing down, 35-year-old has been defying father time. Mid-thirties is a precarious age for most strikers, when years of running and pounding from opposing defenders finally catch up to them. And as we all know, losing a half a step here or there can be devastating for the strike rate of someone who is supposed to fill the net, turning the most brilliant of strikers into ordinary ones. No one needs to remind the Spanish World Cup winner that he has to change to his preparation prior to games. It’s part of the natural aging process, no matter what position a player might play. “With the passage of time, you put more games in your body, you put time of soccer and you sacrifice your body and you need to rest better,” he said. As the new year dawned, Villa added he had tried to rest a little more but to train as well. He stayed in touch with his personal and City’s physical trainer. Villa said he will emphasize more rest, more sleep and eat well. He did not give any details of his eating habits.